This strawberry cheesecake recipe is perfect for all your spring entertaining. Spring is here, and it’s time for plenty of seasonal entertaining. 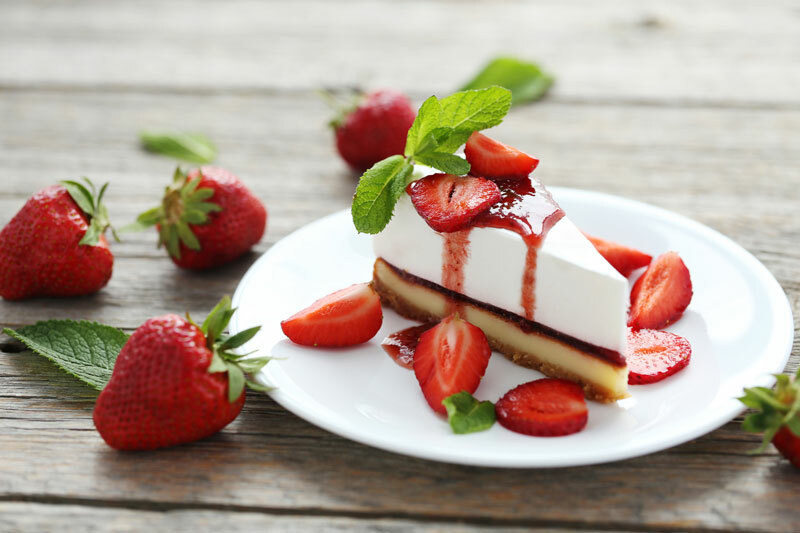 From backyard barbecues to family dinners, be prepared for entertaining this spring with this strawberry cheesecake recipe. It’s the perfect dessert to enjoy all season long. Here’s what you’ll need to get started. Start by preheating the oven to 300 degrees. Ensure that the cream cheese has softened and that the frozen strawberries have been thawed and drained. In a mixing bowl combine the cream cheese and the condensed milk until fluffy. Next, add in the vanilla and the lemon juice. Mix thoroughly until the batter is smooth as you beat in the eggs. Set the batter aside. In a blender combine the cornstarch and the thawed strawberries. Blend until pureed and transfer into a saucepan. Bring the sauce to a boil, stirring occasionally, so that it becomes a sauce. Set aside a third to be refrigerated. Pour half of the cream cheese batter into the graham cracker crust. Pour a layer of cooled strawberry sauce over the cream cheese batter. Pour the remaining batter on top. Drizzle the remaining strawberry sauce on top. Bake for about 45 minutes. Let it cool and keep it refrigerated. Serve garnished with the remaining strawberry sauce and enjoy. Be ready for all your springtime entertaining with this strawberry cheesecake recipe. Ensure that your home is ready for all your entertaining with the right homeowners insurance. For all your insurance needs, contact the professionals at The Schwab Agency, located in Colleyville, Texas.